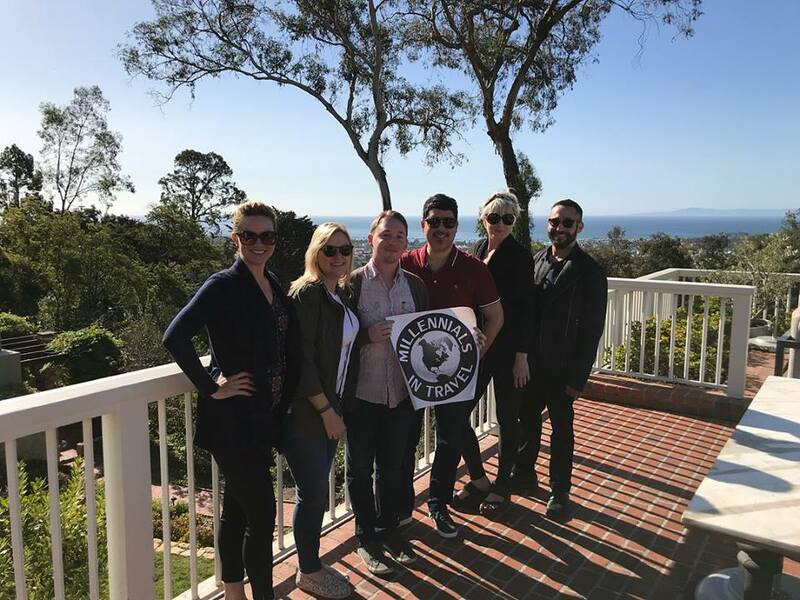 Belmond El Encanto - a FAM fit for the Stars! Upon arrival we were warmly greeted by the Belmond team, checked in and whisked away to our individual accommodations. The Belmond features Californian craftsman and Spanish style bungalows set on seven acres of serene gardens, perched high above the glittering Pacific Ocean, and each room feels secluded and private. Later that evening, we gathered in The Riviera Bar for cocktails, which included a special menu "Celebrating 100 years of social, cultural and architectural heritage". We then enjoyed dinner in the Wine Room with a menu created just for us! The following day we gathered for breakfast on The Terrace, followed by a hotel site inspection. This FAM was designed for MIT Members who actively book clients in the entertainment industry, and the site inspection provided insight into what a perfect oasis of seclusion and privacy the resort is for guests looking to get away from the buzz of Los Angeles. Our day continued with a Santa Barbara city tour by private chartered trolley, including a behind-the-scenes tour of the Santa Barbara Bowl with the venue's program manager. Here we learned about the history of the Santa Barbara Bowl and the logistics that go into each and every performance. We even got to go "backstage" and walk the halls of the dressing rooms, lined with framed photos of past performers. We returned to the resort for a light lunch and time to relax. Later that evening, we gathered for drinks and appetizers, before returning to the Santa Barbara Bowl to see Alt J perform live! It was a fun evening under the stars, in one of the most beautiful and architecturally unique outdoor concert venues. The following morning provided time to relax and stroll the gardens and lounge by the pool before making the short and beautiful drive back to LA. Belmond El Encanto is a true oasis, perfect for a weekend getaway from Los Angeles or part of a longer coastal California itinerary. Solitude and relaxation await you and your clients!